Ni Hao's work Structure Study V is exhibited in the section “Today Will Happen” curated by Jean de Loisy and Kim Seong Won. 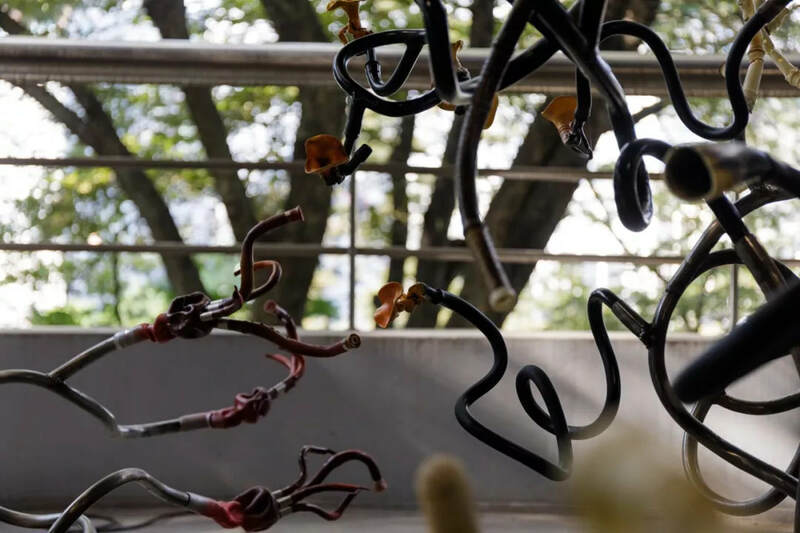 “Today Will Happen” is a part of the Pavilion Projects, hosted for the first time by the 12th Gwangju Biennale, beginning with three leading international art institutions to connect the Gwangju region to a wider arts community. 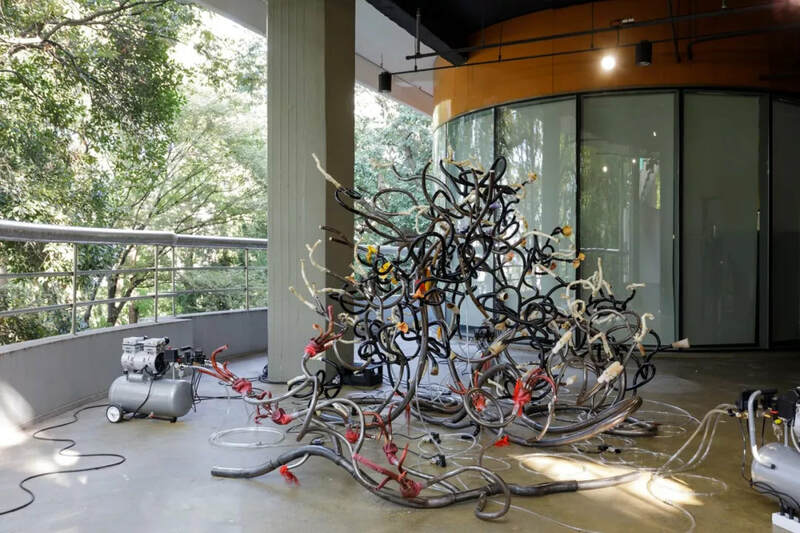 The Pavilion Project is a forum for exchange and promotion between countries to present emerging artists from their own countries alongside Korean artists. Held in the Gwangju Civic Center, the exhibition will be open until October 20, 2018. ​The exhibition “Today Will Happen” takes its title from Michel Houellebecq’s poem of the same name, published in “The Art of Struggle” in 1996. Houellebecq's poem suggests the "possibility of translation" that sets the exhibition in motion. The artists coming from various cultural backgrounds invited to this exhibition are engaged in an open discussion to reveal the tension and connection between different cultural codes. Structure Study V is the latest work of an on-going series called Structure Studies, which are performances and sculptural installations that explore the relationship between sound, sculptures, and histories of violence. 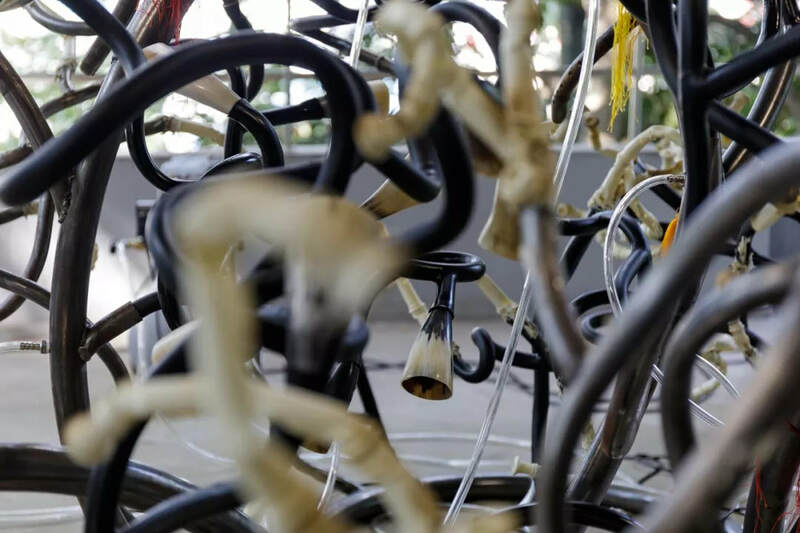 In this work, various cheap and mass-produced wind instruments from both the east and the west are heavily manipulated and woven into a large and rhizomatic steel structure. The surface of the steel structure is treated with artificial sweat and urine to induce rust that will grow over time. 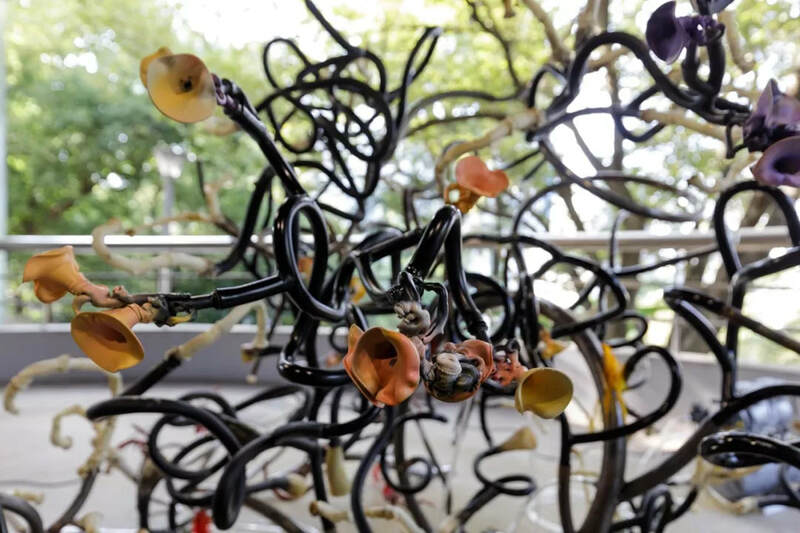 The sound of the sculpture is programmed to be randomised through using air compressors and solenoid air valves with timers.